Bonnie ‘Prince’ Billy is a man who knows good country. The artist otherwise known as Will Oldham has been alternative Americana’s most respected cult hero for two decades and now he’s releasing an album made up entirely of covers of songs by his own icon, outlaw country legend Merle Haggard. ‘Best Troubador’ is set for release on May 5 and makes for tender tribute to the California country artist, who passed away in April 2016. We called Will at home in Kentucky and got him to talk us through his love of Merle as well as giving us the low-down on some of his other favourite country music artists. Who: Born in 1937, Merle Haggard was incarcerated in San Quentin when he saw Johnny Cash play one of his iconic prison shows in 1959. The rest is history. He switched crime for music, playing character-driven songs in the Bakersfield style – grittier and more rock and roll than the Nashville sound. He is generally considered to be one of country music’s greats. Bonnie ‘Prince’ Billy says: “What’s not to love?! When I really, really started to dig into him was in the mid-1990s. I was aware I loved a lot of his songs, I loved a lot of his music, but I didn’t understand how much I could identify with how he what he did until I listened to a four CD career anthology that I think Capitol put it out. I was just like ‘oh this is insane’. He was born in California and Bakersfield is where he got musical chops. He had a wild streak in him, a lot negative influences which led to some criminal activity, which made him do prison time. I think he realised that he had a future in music where there wasn’t a future in crime. Who: Born in Texas in 1939, Don Williams began his solo career in 1971. A crooner as much as a country singer, the laid-back artist retired in 2016. Bonnie ‘Prince’ Billy says: “Don Williams is known as the gentle giant. He’s huge in some countries in Africa, I believe he may be on a postal stamp somewhere near the Ivory Coast. The first time I saw him I was sitting next to some folks and Don was halfway through his first song when the man turned to the women who was next to me and he said ‘it doesn’t get any smoother’. It really doesn’t. Who: Born in Kentucky in 1957, coal miner’s daughter Patty Loveless – aka Patricia Lee Ramey – had been singing since the 1970s but broke out as a solo artist in the late 1980s, singing traditional style country music ballads. Her last album, the bluegrass-inspired ‘Mountain Soul II’ was released in 2009. 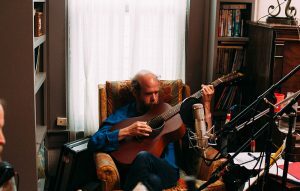 Bonnie ‘Prince’ Billy says: “There was a time around 1990 when I would hear her songs on jukeboxes in bars and I started listening more to modern country radio at that time because I thought there was a kind of renaissance going on. I was hearing songs that I thought were really awesome and kept on catching me. Who: Born in 1956, the multi-million selling Dwight Yoakham started playing honky-tonk hillbilly country music in the mid-1980s. He’s covered everyone from Elvis to The Clash and Johnny Cash once called him his favourite singer. Bonnie ‘Prince’ Billy says: “I started to hear his music in the late 1980s and I thought his singing sounded really strange and kind of contrived but I began to listen to him more and I started to love it. Then his fifth album ‘This Time’ came out and immediately I was like ‘this record is terrible and if he ever had anything, he’s completely lost it’. The post Bonnie ‘Prince’ Billy’s guide to country music’s greatest singers – from Merle Haggard to Patty Loveless appeared first on NME.